PRODUCT DESCRIPTION: Flea Trap Gluepad. Glue on paper for use in the Flea trap; this is the replacement pack of gluepads packed 3 in a pack. 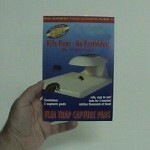 This product works well at trapping other small bugs as well like springtails and gnats. It also makes for a very nice nightlight. Not too bright. I recommend this product for sure! 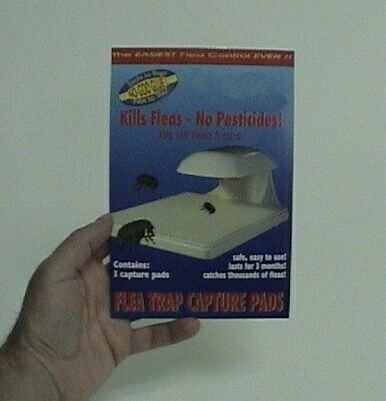 Works amazing with the flea trap! Try these products, you'll be amazed!